Made from a special spun synthetic material that is extra thick, incredibly soft, and absorbent. 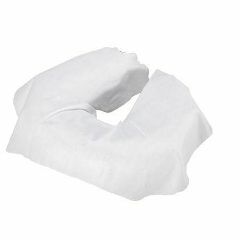 The covers are sanitary, hypo-allergenic, and 15% larger than the standard face pillow cover. These covers can be used on any massage table to provide your clients a comfortable and hygienic experience.